As retail rents rise, more small retail businesses are going online and leveraging self-storage solutions to reduce their operating costs. Ms Ong Kai Ling is one example. 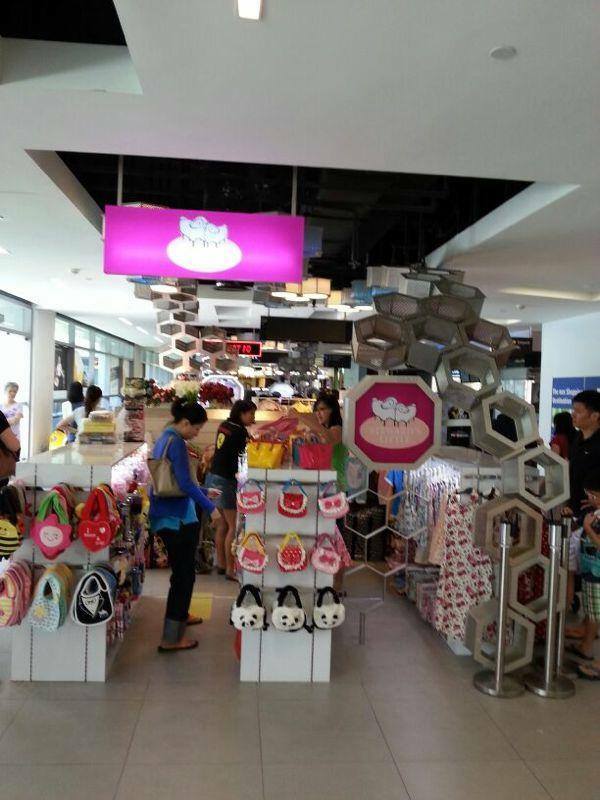 She launched Steward’s Little, a children’s clothing business, on 7 December 2013 at a 3m-by-3m kiosk in a popular suburban mall. She also rented a self-storage unit at Lock+Store Serangoon North to store her inventory due to limited space in the kiosk. Although her daily takings are strong during festive periods, she could hardly make enough to cover her high monthly rent during the off-peak season. This spurred her to set up an online shopfront for her business in 2014 with the aim of giving up the kiosk. Another customer riding on e-Commerce wave, Ms Christina Ng, founder of the board game company Starting Player, also leverages self-storage solutions to manage her operating costs. In 2011, Christina decided to quit her full-time job as an accountant and designed a board game that would combine her husband’s flair for Chinese history and her thirst for intellectual stimulation. She rented a 121 sqft unit at Lock+Store Tanjong Pagar to store more than 2,000 sets of the board game. 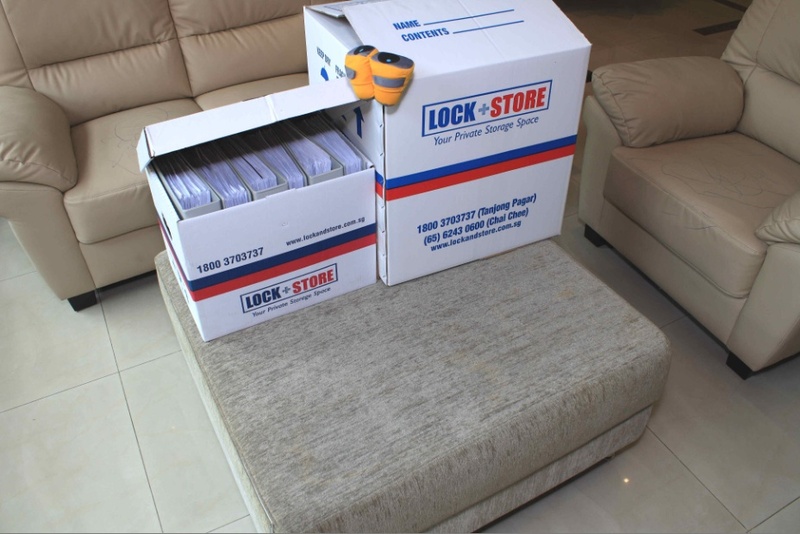 To give small businesses a leg-up, Lock+Store will introduce a SME budget relief of 50 per cent off selected self-storage units for new storers who store between three months and one year. More information can be obtained at http://www.lockandstore.com and from the customer service staff at each of Lock+Store’s four facilities. Christina Ng, 34, founder of board game company Starting Player, used to have a 9 to 5 job as an accountant before she started her own business in December 2012. Her passion for board games, however, was sparked in 2009 when she met her husband Yeo Keng Leong, 39. Their dates centred mostly around board games. They were also avid board game collectors. In 2011, Christina decided to quit her full-time job and design a board game that would combine her husband’s flair for Chinese history and her thirst for intellectual stimulation. That was how they came up with the idea for Three Kingdoms Redux, a board game based on the historical novel Romance of the Three Kingdoms by Luo Guanzhong, and historical text Records of the Three Kingdoms. Christina explains that the current crop of Three Kingdoms-themed boardgames focus more on the military aspect. One of the most important and intriguing themes of the story was the natural balance of power between the three states of Shu, Wu and Wei. Power not only in the military sense, but also from the economic and social perspectives. Her husband thought the Three Kingdoms theme could be enhanced by including these other elements. These form the backbone of Three Kingdoms Redux as a eurogame that focuses on strategy. It took Christina and Keng Leong four years to research, design, playtest, manufacture and launch the board game in 20 November 2014. Like a growing number of start-ups in Singapore, she opted to operate the business out of a self-storage facility. She decided to rent a 121 sqft unit at Lock+Store Tanjong Pagar to store more than 2000 sets of the boardgame. Since the boardgame’s launch, Christina has been receiving queries and orders from gaming enthusiasts from both Singapore and overseas. Three Kingdoms Redux has been nominated in the 20 Most Anticipated Board Games of 2014 competition on Boardgamegeek.com. Christina and Keng Leong aim to develop different varieties of games in the future but due to the long gestation process from conceptualisation to launch, she will focus on marketing Three Kingdoms Redux for the time being. Three Kingdoms Redux retails for SGD 70 and each copy of the game will come with a free limited-edition illustration booklet (while stocks last). Visit www.startingplayer.com or email auntie@startingplayer.com to order. More businesses are switching to self-storage amid rising rents and office space constraints in Singapore, according to a survey of 300 self-storage users at Lock+Store. The survey results, published in a report by Cushman & Wakefield, show that 40 percent of current users at Lock+Store are businesses (start-ups, blogshops, SMEs and MNCs) compared with 30 percent in 2011. The remaining 60 percent are personal/household storers. The survey results show that SMEs form 57 percent of Lock+Store’s corporate customer base, followed by startups (about 16 percent of business users), MNCs (15 percent of business users) and blogshops (12 percent of business users). The survey results show that while managing costs is uppermost among all self-storage users, business storers are less price sensitive as compared to personal users, however, they are more likely to use their facilities for longer periods and thus would value discounts based on longer leases or commitment periods. Among the businesses surveyed, about a fifth said they would take advantage of the onsite SpeedPost and SmartPac services launched by Lock+Store in December 2013. Onsite SpeedPost and SmartPac services are just some of the new service offerings that Lock+Store has introduced to provide an integrated experience for its business storers. Lock+Store will be setting up small offices for rental at its flagship Chai Chee facility. Of the 116 business users surveyed, about 40 percent expressed interest in exploring the use of the small offices. The most popular office format is a private office without ancillary services, such as a receptionist or secretarial support. Potential lessors also value privacy – an open concept office garnered the least amount of votes. Channel U’s Money Week looks at market trends in Singapore and last Saturday, they explored shrinking apartment sizes in Singapore and how more Singaporeans are making use of self-storage space to store their personal belongings. Here’s the link to the video clip: http://video.xin.msn.com/watch/video/episode-52/1gqbdl2do. Fast forward to 8.47 mins if you wish to watch the footage on self-storage, otherwise the clip on green spaces is interesting too. One of our readers Chris also mentioned in a comment that he lives in a shoebox apartment and the only way he can keep his excess belongings is to store them in a self-storage unit. Feel free to share your personal experiences with us! When you ask a SME business owner, “What is your biggest headache?,” he/she will tell you: RENT. Soaring rental rates, which can take up to half of a company’s operating cost, are forcing SMEs to shake up and move out. Many are going down under with rents not coming down fast enough as the economy weakens. Mrs Ivy Loh, founder of WeeJestin.com, understands how it feels to be under pressure from escalating rental rates and low walk-ins. Seven years ago, the mother of three rented a retail store at $3,800 per month located in the prime Orchard shopping district expecting that the visible storefront would translate to higher pedestrian walk-ins. Business was sustainable with a regular customer base but she made barely enough to cover operational costs. Mrs Loh’s floral business saw a turnaround after she built her company’s website using Spring’s SEEDS grant. Soon she discovered that her website was garnering more business than her retail front. This got her thinking about her business strategy and what she wanted in life. At that time, Mrs Loh’s children were still young and she did not want to miss out on their childhood years. So, she decided to call it a day at her retail store and shift her operations back home. This move allowed her to spend more time with her young children and the cost-savings from not having to pay for exorbitant overheads proved to be the right strategy as she diversified her business to include producing BeanSprout pillows meant for infants. Mrs Loh rents a nine square metre self-storage unit with Lock+Store to store her floral and hamper materials. She cites the 24-hour access to her self-storage unit as a plus point as it gives her the flexibility to drive to her unit to collect her working materials while her children are taking their naps. She also says that the low rental cost, compared to having a retail front, gives her more revenue to pump into stock procurement for her BeanSprout pillows (the fabric is imported from Japan). Mrs Loh does not believe in “marking-up” the price of her products as this would pass on her operation costs to the end-consumer. Would she move back to a retail store? Mrs Loh says “No” as rents have risen to $5,000 for a 200 square feet outlet. Besides, she will need to fork out close to $20,000 for a six-months deposit to the mall. For Mrs Loh, the move to Lock+Store is a win-win business outcome for her and her loyal customers. To support Mrs Ivy Loh, you can visit her website at www.weejustin.com to order flowers or purchase the soothing BeanSprout pillow for a newborn. The Budget and SMEs – Too Little or Too Much? However, there will be no help for SMEs struggling with high commercial rental rates. This has driven many, especially start-ups and budding entrepreneurs, to base their businesses at home while storing their inventory at Lock+Store. If you are an SME storer at Lock+Store, we want to profile you here on this blog. You can send us a private message on Facebook or simply comment here with your email address.